Want to use video marketing but lack the technical skills? 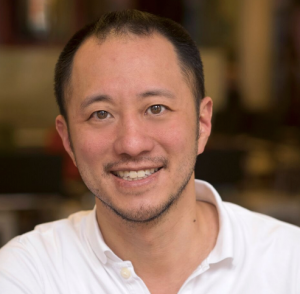 Let Animoto’s Jason Hsiao put your fears at rest as you listen to his easy-to-use advice on making the best use of video marketing without professional training. Jason Hsiao is the co-founder and chief video officer of Animoto, an award-winning online video maker that makes it easy for anyone to create professional-quality marketing videos, even if they have no technical skills and have never created a video before. With the mission of empowering everyone to create powerful videos regardless of age and experience, Jason founded Animoto with his high school and Dartmouth College friends back in 2006. Animoto’s certified partnerships with Facebook, Instagram, YouTube and the Small Business Administration give it unique insight into the changing social media and business landscape, which may be why more than a million businesses around the world are already using Animoto to create marketing videos. Prior to founding Animoto, Jason was a producer for MTV Networks and Comedy Central. Jason, thank you for being this week’s guest expert and mentor, and it’s such a pleasure to welcome you to the show. How authors can use video to deliver their content. Thinking about video, or trying to figure out how to take video to the next level?